The Business for Peace Foundation is pleased to announce the winners of the 2016 Oslo Business for Peace Award, given annually to exceptional global business leaders who exemplify the Foundation’s concept of being businessworthy by ethically creating economic value that also creates value for society. Honourees are selected by an independent committee of Nobel Prize winners in Peace and in Economics after a global nomination process through its partners International Chamber of Commerce, UN Global Compact and UNDP. Ms Sarah Beydoun, Lebanon: Ms Beydoun is the founder and creative director of Sarah’s Bag. This internationally successful company has a business model that includes social rehabilitation for underprivileged women who learn valuable skills and earn an income as well as a sense of dignity and empowerment. By following her heart – both for fashion and women at risk – Ms Beydoun has created a robust business despite the difficult circumstances in the region. 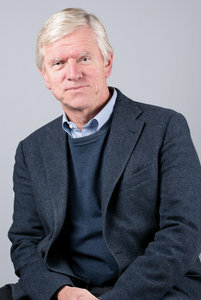 Mr Tore Lærdal, Norway: Mr Lærdal is the Executive Chairman of Laerdal Medical, the global leader in resuscitation training and therapy products. Laerdal Global Health is a non-profit affiliate of Laerdal Medical, and provides affordable products to help save lives at birth in poor countries. The goal of the group with partners is to help save 500,000 lives per year by 2020. Mr. Lærdal is an example of how linking business to a wider, social purpose can create exceptional results – for both business and society. 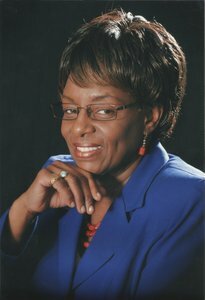 Dr Riria is Group CEO of Kenya Women Holding (KWH) and has led Kenya Women Microfinance Bank (KWFT) for over two decades. KWFT grants loans to marginalized women and their families, serving over 1.5 million women and disbursing over US$ 2.3 billion over a period of 20 years. Through her important work, Dr Riria brings economic empowerment to marginalised women, contributing to build peace even during times of conflict.